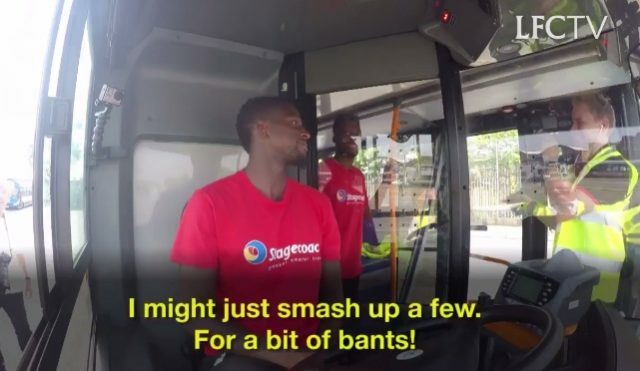 Daniel Sturridge and Divock Origi are currently battling each other for minutes up top for Liverpool, but appeared to get on pretty well in this strange club video released today via the official Twitter account! The forwards both try driving and then parking the 917 bus alongside an instructor, with Sturridge a little more devious than his younger team-mate! Ironically, it’s other teams parking the bus which has caused Liverpool such problems under Jurgen Klopp, with his side much more effective when our opponents come at us. Sturridge wasn’t happy when Origi came on before him against Spurs last time out, but at home, we’d back him to play from the outset. Anfield has a new matchday bus service! ?